At the core of the econ VacuDry® process is a specially designed drying chamber which utilizes heat and a controlled vacuum environment to evaporate all contaminants with boiling points of up to 450 °C. To heat up the dryer, a temperature-resistant synthetic oil is circulated inside the dryer´s heating jacket and central shaft. The rotating shaft ensures thorough mixing throughout the process and guarantees a highly-efficient transfer of heat to the product. 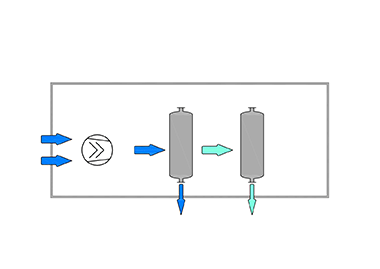 This in turn allows batch times to be short, saving both energy and time, and gives the operator full control over the whole process. 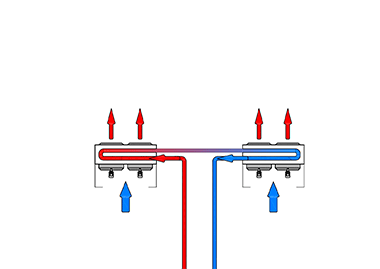 After evaporation, the vapour is led through a filter in order to remove dust or other unwanted particles. 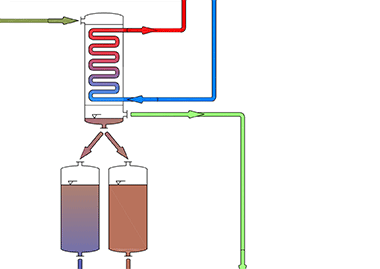 Specially designed heat exchangers also condense the vaporised water, oil and mercury, which are then recovered as separate liquids. Any remaining small liquid droplets are removed using specially designed strainers. Various feeding units are available, allowing a wide range of possible input materials. The adequate feeding system for a particular waste depends on the type of material, level of contamination and the general handling and logistics requirements of the client. Together econ industries and the client will discuss the circumstances to select the most appropriate feeding system for each specific application. At the conclusion of each batch, the treated material is discharged into the cooling bunker. This allows the next batch to start immediately. 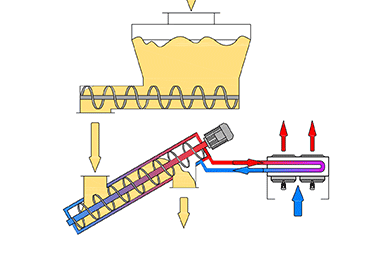 The still-hot material is then indirectly cooled using screw conveyors before being discharged from the plant. 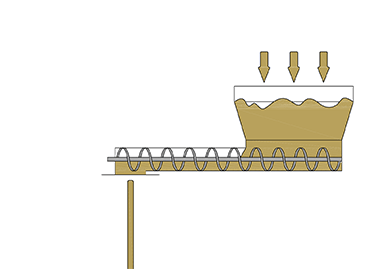 If required, the output can be re-moistened or solidified in a small continuous mixer. 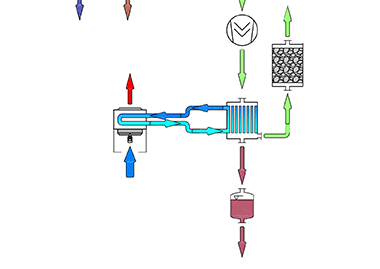 The thermal energy for the vacuum dryers is provided by the thermal oil heating unit. The unit can be operated with fuel oil, natural gas or electricity. 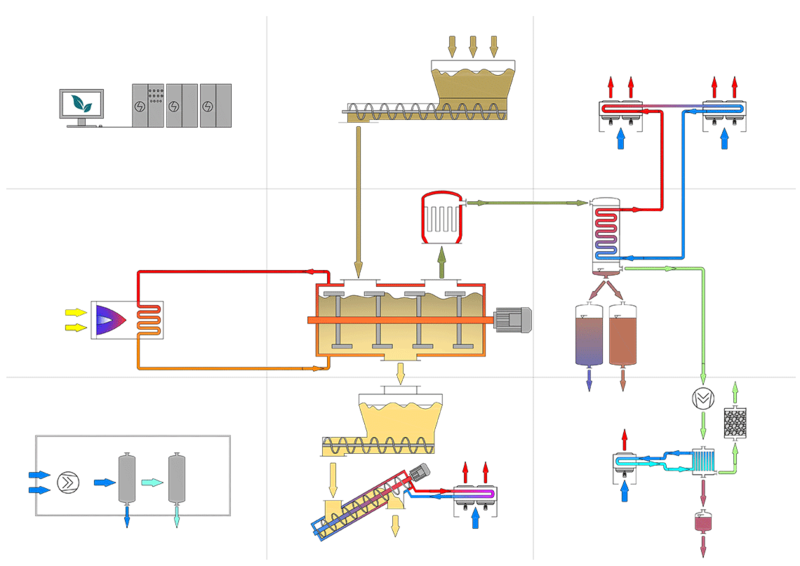 The circulating thermal oil which is used in the VacuDry® plant is designed to withstand temperatures of up to 400 °C. 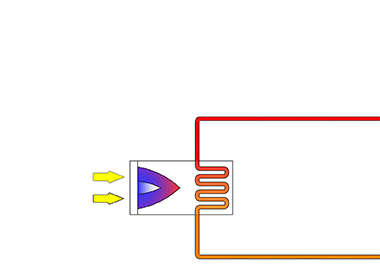 The cooling capability of the condensers and the discharge unit is achieved using a closed cycle cooling system with dry coolers. A small chiller is required which supplies cool water to the off-gas cooler and vacuum pumps. The remaining vapour passes through a powerful vacuum unit and is cleaned of residual contaminants via an active charcoal filter, before finally being released into the atmosphere. Due to the vacuum process and the exhaust stream, the amount of pollution created by the plant is very small. This makes environmental approval procedures very easy - even in highly sensitive environments. 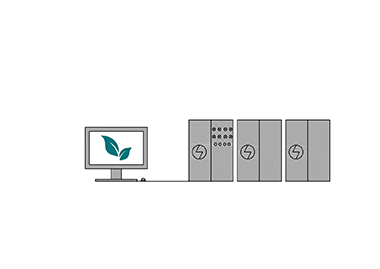 The plant is operated and monitored from a control-room via a PC. All important operating parameters such as heating temperature, pressure, filling levels, etc., are continuously recorded and displayed. The plant can either be operated in manual or semi-automatic mode. The controls include all necessary power, electrical and measurement contactors as well as safety interlocking and emergency stops. To operate the plant, detailed instrumentation and control over air content and valves is required. 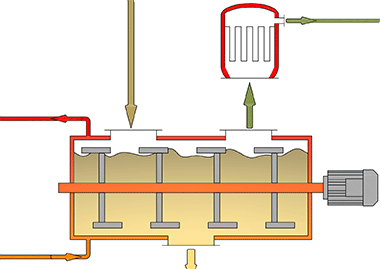 In the case of treating oily wastes, nitrogen gas is used for tank blanketing. This is necessary for safety reasons (reducing fire or explosion risk), and to help guarantee the high quality of the recovered oil. The operating resources module is part of the scope of supply.